Hello all TechnoGiants readers, this time we have come up with a new Giveaway. This time Technogiants has cooperated with Tenorshare to offer unlimited FREE License Code for Tenorshare Windows Video Downloader to Technogiants readers from August 28th to September 04th, 2014. All our readers can get a licensed copy of this versatile Video Downloader – Download and Convert Online Videos with 1-click for FREE. Want to download a melodious music video from MTV because you have waited for it so long? Want to download a fantastic movie on YouTube because you love that film so much? Now there are plenty of videos on quite a few video sharing websites, however, most of the websites have no function for the user to download. If you always visit the video sites and have to see the advertisements before watching your target movie, you will waste of 5 or 10 minutes on it. What’s more, the ads may distract you. Therefore, why not download it and just bypass all the interference factors by using a third-party download tool? Tenorshare Windows Video Downloader is a perfect third-party video download tool that supports Windows OS. It enables users to download, convert and play any video on their Windows-based computers. With the high quality of this downloader, you can feel easy and free to watch the downloaded videos on your devices. What’s more, you don’t need to install any other video player, just make use of this Windows video downloader to watch it as your video player is convenient enough. Now you don’t have to worry about how to download your favorite videos before it is deleted. At this time, this Windows video downloader is able to timely download as many videos as you like. You can take advantage of this excellent video downloader to download target videos from all the video websites, no matter you can at work or at home. As long as it is a video site and you are able to watch it, this video downloader can download the original video quality for you. So you don’t have to afraid of it is a music video, a speech video, a live concert video or a film; you don’t have to worry about it is from YouTube, Vimeo, Dailymotion, Break, Ted or others, just download and install this video download software on your Windows device, then it will begin the process. This simple-to-use video downloader is designed to help all the video users to download all the videos they need. Therefore, if you are viewing nice and funny videos and would like to download it, just use this download to download it and you have 2 options to use this. The first option is to copy the link of your target video and then click the “Paste URL” button on this download tool. The other option is to visit the video address with the inserted browser in this Windows video downloader software and then click the “Download” button at the right of the page. Both of these alternatives are easy to use; just feel free to have a try. If you want to watch the downloaded videos on other devices, not just in your computer, this video downloader can give you a favor as well. 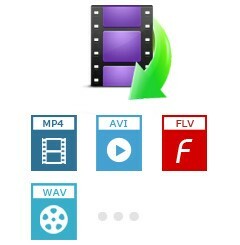 It supports to convert common formats, such as MP4, AVI, MOV, MKV, WMV and so forth. Moreover, no matter the device you want to watch is iPhone, iPad, iPod, Samsung Galaxy, Samsung Note, HTC One, Nexus, Kindle, Nokia Lumia or Apple TV, you can watch the downloaded videos by using this download tool to convert it. After downloading all the videos, you can play them via this Windows video downloader. If there are some other videos in your local computer, you can add them into this software as well. They are allowed to play and watch with this software, too. To speak of, you can also rename them with the help of this download tool. At last, you don’t have to use other media player. Just use this easy-to-use application to download, convert and play! That’s great! A Big Thanks to Jenny from Tenorshare for providing this opportunity to present the unlimited license code Giveaway of Tenorshare Windows Video Downloader. Don’t forget to act fast as much as you can because this offer runs only for a week from today. Omitting the process of seeking for the license key like the other giveaway, all you have to do is just visiting the Exclusive Landing Page [Updated Sep 05th, 2014: Giveaway ends] which is exclusively for TechnoGiants readers and just need to share about Giveaway in your Social Media. Now, you need to fill your First & Last Name, Email and then click on ‘Submit’ button. Within a few minutes you will get an Email related to your license code along with the download URL. Remember: This giveaway runs for the period of 7days (August 28th, 2014 to September 04th, 2014) validity according to PST Time. Yeah it was a good giveaway. Now it’s over but stay tuned for more giveaway’s soon.